SmartAnalyst and the IBM® Watson Health™ team used the IBM Explorys® data set to study the journey of more than 6,500 real-life psoriasis patients. The data revealed a tendency for patients to jump from topical remedies to injectables rather quickly, skipping oral medications. As a result, SmartAnalyst’s customer, a pharmaceutical company, is changing the way it communicates with patients and doctors. One of SmartAnalyst Inc.’s customers wanted to know more about psoriasis patients’ typical progression from topical remedies to oral medications to injectable biologic treatments. SmartAnalyst and the IBM Watson Health team identified over 6,500 real-world psoriasis patients and uncovered timely treatment trends in the way they progress through their treatment pathways. One of SmartAnalyst’s customers, a pharmaceutical company, wanted to learn more about how patients progress from one psoriasis treatment to another. Specifically, the organization sought to understand more about how patients progress from topical prescriptions to other treatments. —Eros Papademetriou, Health Economics and Outcomes Research Engagement Manager, SmartAnalyst Inc.
As opposed to using clinical trial data, which is usually older and limited to specific medications and homogenous patient groups, SmartAnalyst turned to the IBM Watson Health team and its tool for extraordinarily detailed, cutting-edge research: IBM Explorys data. Based in the cloud, IBM Explorys data helps companies gain real-world evidence for decision making, using de-identified longitudinal data on more than 50 million unique patients and 344,000 unique providers. The IBM Explorys data set revealed that many patients move from topical therapy to injectable biologics rather quickly—the median time was 206 days, which may not be enough time for some topical medications to take effect. However, when patients tried oral agents before switching to biologics, the median time elapsed was 488 days. As a result, SmartAnalyst and its customer concluded that offering oral agents can significantly delay the need for biologics. Further, the team surmised that maintaining patients on effective topical treatments may help minimize the need to switch to biologics. The pharmaceutical company is developing a plan to work with insurance organizations and physicians to encourage patients to remain on topical medications longer and to try oral agents before switching to biologics. Biologics are more expensive than topical and oral agents, plus they require injections weekly, every two weeks or monthly. Finally, IBM Explorys data offers insight into research worthy of further investigation. As Papademetriou explains, the team was intrigued to discover that in more than half of the patients who tried an injectable biologic—typically the final line of treatment—the prescriber was a general practitioner, not a dermatologist. This suggests a need to educate general practitioners about psoriasis medication, and the pharmaceutical company is eager to explore this approach. “They definitely want to know more about the link between physician specialties and the typical patient journey. I see that as being a great opportunity to dig deeper into IBM Explorys data,” says Papademetriou. Founded in 2005, SmartAnalyst provides comprehensive, integrated solutions based on its deep understanding of science, the market, and the key business decisions that its clients face. The company deploys agile, cross-functional project teams that are responsive to client needs. By using an experienced team of experts, SmartAnalyst helps biopharma companies make key decisions at the disease, asset and portfolio levels. In addition to its headquarters in New York, New York, SmartAnalyst has an office in London, England, and a research facility in Gurgaon, India. To learn more about how research and analytics using IBM Explorys data can help answer your critical business questions, please email scienlif@us.ibm.com. 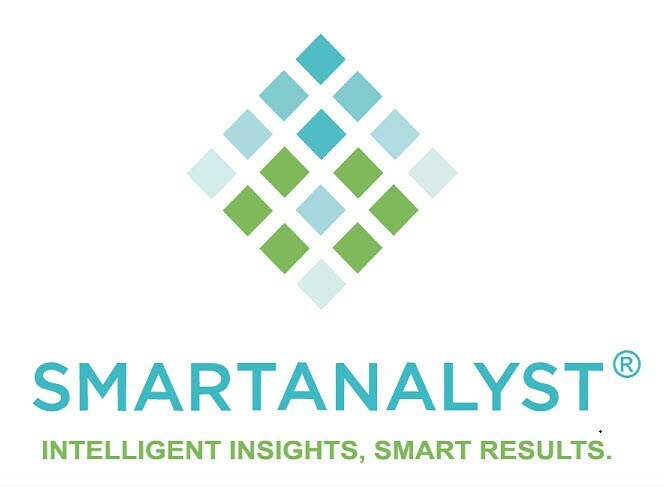 To learn more about SmartAnalyst and its services, contact Manu Bammi or visit the SmartAnalyst website. Produced in the United States of America, April 2018. IBM, the IBM logo, and ibm.com, Explorys and IBM Watson Health are trademarks of International Business Machines Corp., registered in many jurisdictions worldwide. Other product and service names might be trademarks of IBM or other companies. A current list of IBM trademarks is available on the web at “Copyright and trademark information” at ibm.com/legal/copytrade.shtml.